Hughes Hubbard scored a major victory in the class action lawsuit against its French client Alstom SA, after a federal court in a landmark ruling significantly reduced the class members who may participate in the suit and profoundly limited the potential damages. 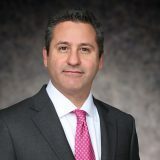 Judge Victor Marrero of U.S. District Court for the Southern District of New York used the recent U.S. Supreme Court ruling, Morrison v. National Australia Bank, as the basis for significantly limiting the class members who may pursue claims against Alstom. Kevin Abikoff, who is leading the firm’s efforts on the case, called the judge’s decision "profound" in an "American Lawyer" article. “It cuts the potential damages by 95 percent,” Abikoff told "The American Lawyer." "When the case was first filed [in 2003] the damages were estimated to be in the billions. Now it’s over loose change." This was the latest in a series of victories Hughes Hubbard has achieved in the Alstom litigation. Collectively, the victories have dramatically reduced Alstom’s potential exposure to a tiny fraction of what it once represented. In Morrison, the U.S. Supreme Court decided that the U.S. securities laws generally do not apply extraterritorially and, specifically, do not reach claims by "foreign" or non-U.S. plaintiffs who bought shares of a foreign company on a foreign exchange. In the Alstom case, Hughes Hubbard argued that the reasoning in Morrison applied equally to U.S. residents who bought shares of a foreign company on a foreign exchange, and Judge Marrero issued an opinion agreeing that Morrison had such an effect. 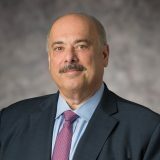 His opinion limited the class of plaintiffs to those who purchased Alstom American Depository Shares on the New York Stock Exchange, a small fraction of Alstom’s total float during the relevant period. The court’s decision was one of the first interpreting Morrison and the first interpreting Morrison in a suit involving a French company. Alstom, an energy and transportation infrastructure manufacturer, is also the world’s third-largest power plant maker. As originally filed, the suit represented a multi-billion Euro exposure for Alstom. Plaintiffs sought to assert claims against, among others, Alstom SA, certain members of Alstom’s senior management and several of Alstom’s Board of Directors. Plaintiffs challenged the adequacy of Alstom’s disclosures in connection with its February 2001 Secondary Offering and disclosures from 1998 through 2003 in connection with the company’s gas turbine, marine and transport businesses. In addition to Abikoff, Bill Stein, Greg Williams, Hana Carney, Adam Cearley, Clementine Foizel, Jim Gallagher, and Eleanor Mayer have worked on the case.